Judge Joel, a photo by happyjoelmoss on Flickr. I got hired to help film some stuff for lawyers in a courtroom, which comes with three benefits. 1) I got this picture. 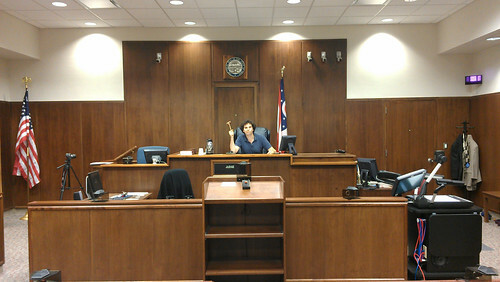 3) I think they might let me use a courtroom sometime if I can think of the right video contest entry to film in one! Which would be awesome, assuming someone wants their product associated with the criminal justice system.